This update brings many exciting improvements, including a new module for Node runtimes and full TypeScript support. After several requests from customers, you can now use filestack-js in your browser and/or your Node apps. 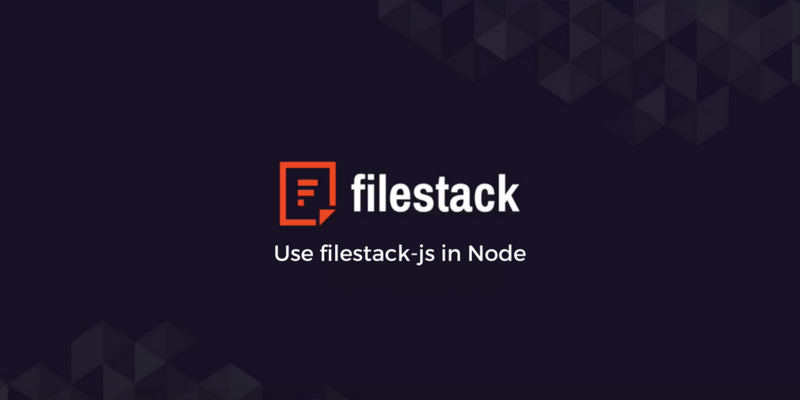 The bottom line benefit of using filestack-js in Node is a universal library that uses the same API, client and server side, for uploads and transformations. filestack.init now takes 2 arguments, apikey and options. Read more. No more default export. The ES module must be imported using qualified imports, such as import * as filestack from 'filestack-js'. Custom source in the picker must now use customSourceName to configure the name of the source in the UI. This is no longer pulled from the Filestack application. rejectOnCancel has been removed from the picker options. pick, makeDropPane, and cropFiles have been replaced by a unifying picker instance that exposes methods for controlling the picker lifecycle. Supporting this change are two new picker options, displayMode and container, which allow users to configure how their pickers are integrated into the document. You can find our full changelog here, and please feel free to ask questions.